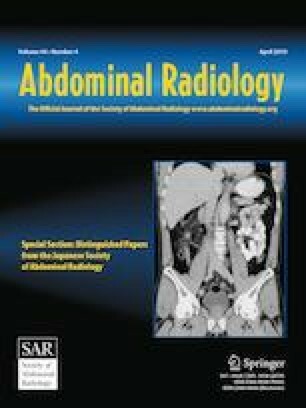 To investigate an automated aortic calcium segmentation and scoring tool at abdominal CT in an adult screening cohort. Using instance segmentation with convolutional neural networks (Mask R-CNN), a fully automated vascular calcification algorithm was applied to a data set of 9914 non-contrast CT scans from 9032 consecutive asymptomatic adults (mean age, 57.5 ± 7.8 years; 4467 M/5447F) undergoing colonography screening. Follow-up scans were performed in a subset of 866 individuals (mean interval, 5.4 years). Automated abdominal aortic calcium volume, mass, and Agatston score were assessed. In addition, comparison was made with a separate validated semi-automated approach in a subset of 812 cases. Mean values were significantly higher in males for Agatston score (924.2 ± 2066.2 vs. 564.2 ± 1484.2, p < 0.001), aortic calcium mass (222.2 ± 526.0 mg vs. 144.5 ± 405.4 mg, p < 0.001) and volume (699.4 ± 1552.4 ml vs. 426.9 ± 1115.5 HU, p < 0.001). Overall age-specific Agatston scores increased an average of 10%/year for the entire cohort; males had a larger Agatston score increase between the ages of 40 to 60 than females (91.2% vs. 75.1%, p < 0.001) and had significantly higher mean Agatston scores between ages 50 and 80 (p < 0.001). For the 812-scan subset with both automated and semi-automated methods, median difference in Agatston score was 66.4 with an r2 agreement value of 0.84. Among the 866-patient cohort with longitudinal follow-up, the average Agatston score change was 524.1 ± 1317.5 (median 130.9), reflecting a mean increase of 25.5% (median 73.6%). This robust, fully automated abdominal aortic calcification scoring tool allows for both individualized and population-based assessment. Such data could be automatically derived at non-contrast abdominal CT, regardless of the study indication, allowing for opportunistic assessment of cardiovascular risk. This research was supported in part by the Intramural Research Program of the National Institutes of Health Clinical Center and made use of the high performance computing capabilities of the NIH Biowulf system. The authors have no direct conflict of interest, but Dr. Pickhardt serves as an advisor to Bracco and is a shareholder in SHINE, Elucent, and Cellectar and Dr. Summers receives royalties from iCAD, PingAn, Philips and ScanMed and research support from PingAn and NVIDIA. This study was approved by our institutional IRB.